The StecaGrid 3600 has already been in the limelight many times. 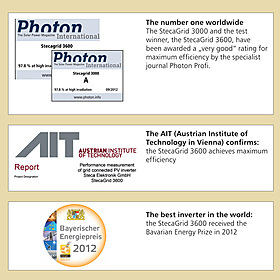 The specialist journal Photon Profi describes it as the master of all classes, while the AIT (the Austrian Institute of Technology in Vienna) has confirmed its exceptionally high efficiency, and it has also won the Bavarian Energy Prize, awarded by the Bavarian Ministry of Economics to the best inverter in the world. 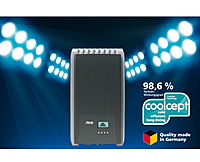 It is not just among specialists in journals and institutions that the inverters in the coolcept series enjoy a high degree of positive feedback. The devices are also regularly recommended on www.photovoltaikforum.com. 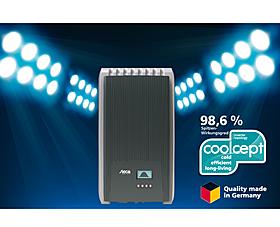 Opinions concur across the board: a high degree of efficiency, reliability, low weight, noiseless operation, free guarantee extension to seven years, low power loss – the list can be endlessly expanded, or to put it in two words: simply unbeatable! can do it all by yourself, without a body-building course. »So small, but with a Euro ETA efficiency of over 98%. how new market shares can be acquired with technical innovations.